Shire are good at being the management between the site and the end product, ensuring that you, the client gets the right installation at the right time, and for the right price. Here at Shire Integrated Systems we tailor make solutions for any washroom problem that you may have, and are more than willing to talk through with you ideas and resolutions to perfectly suit your environment. 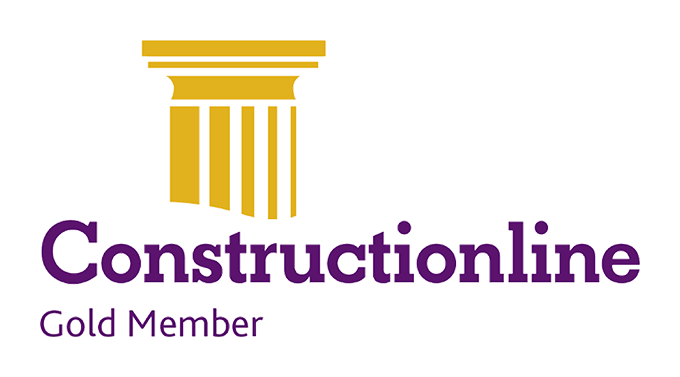 Shire Integrated Systems have recently attained Constructionline Gold status, adding to our range of existing accreditations. Our accreditations prove our commitment to the highest standards of safety and construction. Whatever your industry may be, Shire can provide a washroom solution. Our case studies provide some insight into how. You can also download a PDF of each case study sector, for future reference. Details of the many projects worked for these Contractors, including project values and specifications, can be obtained by contacting Marcus Lynes. Working within the Considerate Contractor Scheme remit. Please feel free to contact the office for any further information that you may require, and we look forward to hearing from you. Our staff are very experienced and will assist you with their expertise wherever possible. Shire Integrated Systems Ltd are subcontractors specialising in the installation of washroom equipment. Formed in 1995, we have developed good strong links with UK based Main Contractors. Whilst based in Bristol, Shire operates throughout the UK. We have fitters available, and a vast portfolio of work history in diverse market sectors in cities including; London, Edinburgh, Birmingham, Cardiff and Swansea to name but a few. Sanitaryware; specialist sensor taps and controls, (Such as hospital HTM 64 solutions). Washroom accessories; mirrors, hand driers, soap & paper towel dispensers, etc. Shire also take on small refurbishments of washrooms, employing required trades such as tiling, ceilings and painting / decorating. We can produce detailed estimates and simple designs, to suit any budget and any need. We look after all parts of the process from the preparation of drawings for approval, taking of site dimensions, to the completion of work and sign off within our QA procedure. Our Shire fitters install products that are provided by the below companies. We have work experience with them spanning many years, having installed almost all of the products that they provide.